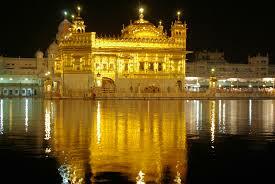 Indian tour – The Golden Temple too! For those of you coming on the Indian tour in September, we’ve added another great attraction to the itinerary – the Golden Temple at Amritsar, in Punjab. 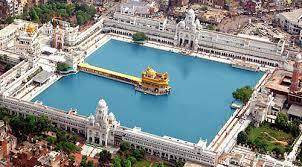 It’s the holiest site in India for Sikhs, and it’s one of the great tourist attractions of India. It’s also a great addition to our tour of the spiritual centres of India. Check our website for the revised itinerary. Not much has changed to accommodate this – but I’ve also decided to do a day trip to Agra to see the Taj Mahal, and not overnight. We’ll see the Taj at sunset, as the sun goes down, then have a beautiful dinner in Agra, then make our way back to our luxury hotel in Delhi. The following day we’ll head to Rishikesh, and the Ganges. Yes Britta, I think this is a very exciting addition to the itinerary. It’s a bit of a deviation from Rishikesh to Dharamsala, but it will be worth it. Fabulous Steve – Jen and I can’t wait too!